There are a variety of reasons why customers seek out PermaBilt®. Part of it is due to our longevity since we have been around since part of it is the quality we put into each building, and part of it is our flexibility in helping to customize each building to fit the needs of our customers. 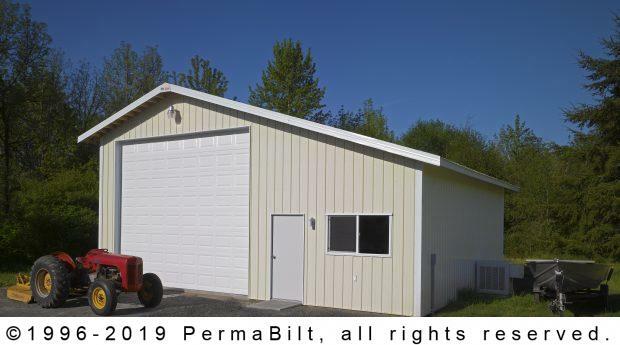 So, when our Salkum Washington customer came to us needing a large farm equipment storage building with a high bay to install a car hoist, he knew he had come to the right place. 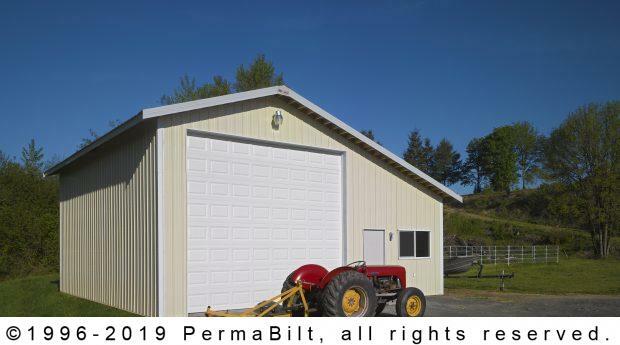 In addition to the high bay, we added a raised panel steel overhead garage door to the farm equipment storage building. This steel door is 2” thick with 20 gauge stiles for strength and durability. It included toggle locks, a bottom weather seal, vinyl stops along sides and top, and a 15 year limited warranty. 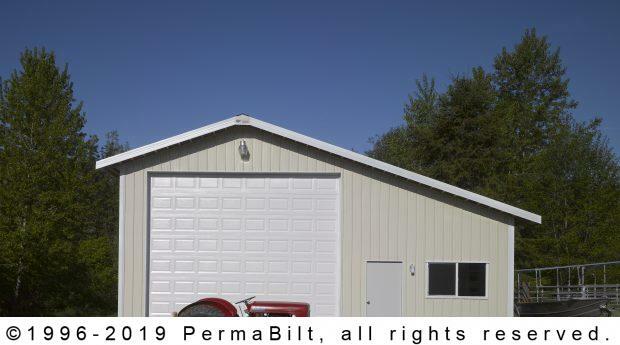 Per his specifications, we added a walk‐in door, our own PermaBilt® insulated door which included a polyurethane foam core which reduces sound and possesses superior insulation. 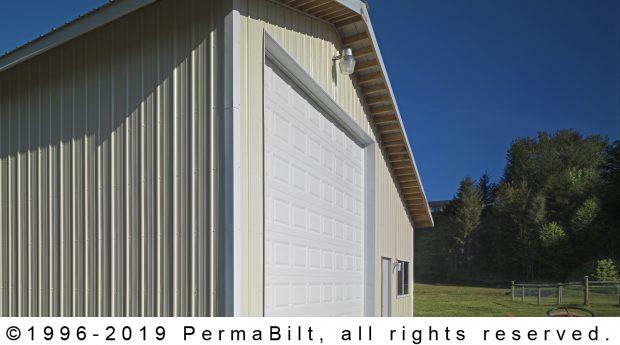 The PermaBilt® door included three hinges, full perimeter weather stripping, a rolled edge and a stainless steel lockset. 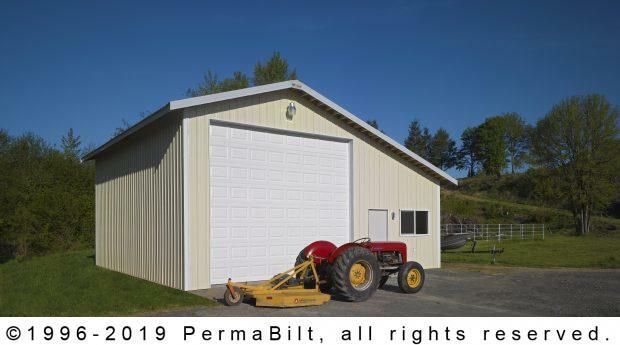 After adding in the vinyl sliding window, ridge vent and eave and gable overhangs, the farm equipment storage building was complete and the customer happy.